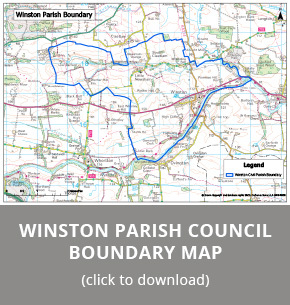 More information and photographs regarding the Parish of Winston can be found in "Sweet Winston – A History of a Teesdale Village" written by Brian Clarke. This highly illustrated book sells at £10 per copy (plus £1.25 postage and packaging). Cheques payable to – 'St Andrew's Church Roof Fund'. Further details available from sweetwinstonhistory@gmail.com. Chapters details amongst other things the mines, railway, churches and estates in the Parish.